The mountains of Donegal blew us away, the coast of this rugged county did not disappoint either. 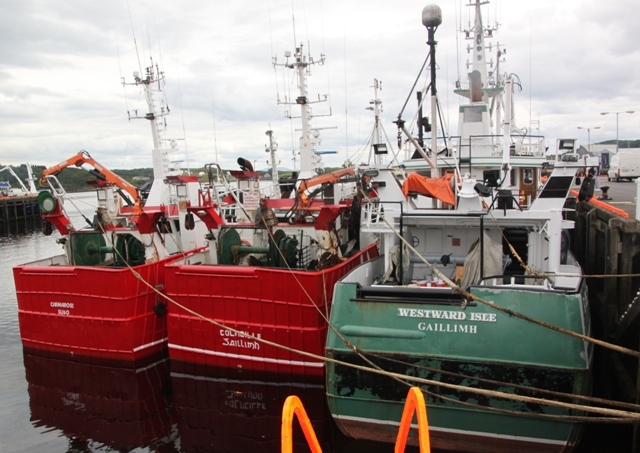 We made our first stop in Killybegs, Ireland’s main fishing port and a place where fishing and stunning scenery go hand in hand. Son loved checking out the enormous boats, all in immaculate condition being hosed down and made ready for another trip out to sea. We wandered around the harbour taking in the sights and sounds. Boats don’t always do it for me but I loved it here. Back in the car and back on the road we drove through the Bluestack Mountains and Donegal town towards our destination, the seaside resort of Bundoran. 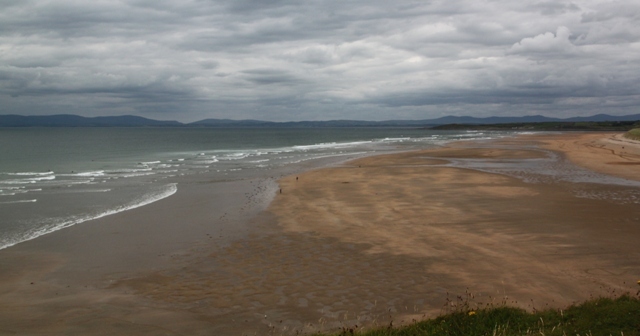 Son was lobbying for beach time, Bundoran looked like it would fill that need. The town itself is nothing special, we didn’t spend too much time there, just a quick ice-cream hunt and then it was all about the beach. Miles and miles of golden sand – stretching forever, once again we had it all to ourselves. A lovely cliff top walk gave great views over the sea and a few surfers riding the waves. The beach is endless, so are the summer days in Donegal – sunset is well after 10.30 pm, we took up position on the sands, looked out over the Atlantic and watched as the sun went down. Thank you for coming along!! Boats, the sea, and seafood do it for me so this looks like my kind of place. Does it get warm enough to swim? I like to look at the water rather than go into it but just wondering. I spent my childhood holidays on the Co Antrim coast – close to Donegal and even on the hottest summer day the water was always perishing!! I can’t even summon up the courage to paddle in the shallows there these days!! 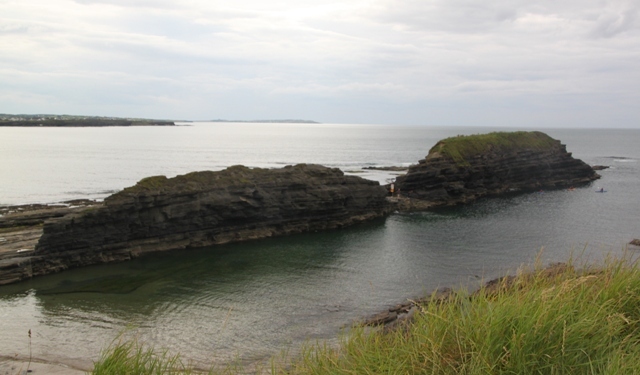 Even on the hottest of summer days the water around the north coast of Ireland is icy cold – I remember that from my childhood and still shiver. I think you’re right though Suzanne, if it was warm the crowds would descend and it would not be so unspoilt and wonderful. We love the boats and beaches…being coastal people I suppose that’s a good thing! Here, too, the sun sets very late in the summer. Thank goodness, for all those short winter days we’ve waited through! You have inspired me to look for our boat pics from last summer… Hoping they will bring back the memory of summer sun and seafood! Have fun looking over your pictures and thinking about the sun!! We are ready for those long days too – loving this time of year when the evening just stretch and we have daylight much later! Enjoy the weekend. The beaches are amazing Rosemary – miles of golden sand and mostly deserted. But like I said in some other comments the sea is freezing even on a hot day so if you want a swim it’s probably not here which may account for the lack of people. Still, it’s nice that way and the fish and chips was the best!! Enjoy your weekend too. Yes it sounds like Tasmania here in Australia – I couldn’t even paddle at the height of summer in January my feet were so cold! However I am not a fan of sea swimming so it wouldn’t bother me too much! Me neither Rosemary, I don’t feel like I am missing anything!! Beautiful! Wonderful to learn about some place new! It’s a wonderful part of the country and a beautiful piece of coast – highly recommended!! Probably unsurprisingly, the photos are very reminiscent of the Scottish landscapes with which I am familiar and, therefore, your post made me feel nostalgic even though I have never been to Donegal. Then I read about your sampling of the best fish and chips ever and I went from nostalgia to homesickness. I didn’t even eat fish and chips that often when I lived in Britain but now I am desperate for them. Thanks again for sharing your jaunts. Sorry Laura for tempting you with the fish and chips. I don’t eat them very often either but think too if I couldn’t get them I would be desperate for them!! Have a great weekend. I am happy to live vicariously through you. Have a lovely weekend. Gorgeous. Your posts alway make me want to get on the first plane that will get me there. Great pics. Thank you once again, Joy and have a great weekend. Thanks George – this is a special spot for sure!! Hope your weekend is relaxing and fun. As a girl from Texas, this looks kinda chilly! 🙂 The surfer is crazy! Spot on Diana!! I spent childhood holidays on this coast and the sea is super freezing – you never get used to it, even on the hottest day it never warms up at all. I refuse to even dip my toes in – but it looks good!! Have a great weekend. 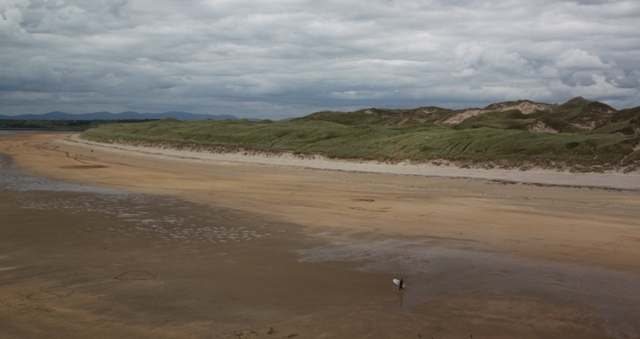 Ahh, gorgeous landscapes… Donegal is just magical. I so badly want to visit again. It is stunning Reggie, we loved our brief visit and badly want to visit again too!! Icy waters anytime of year I think, even on the hottest summer day it is so cold, those surfers were brave!! 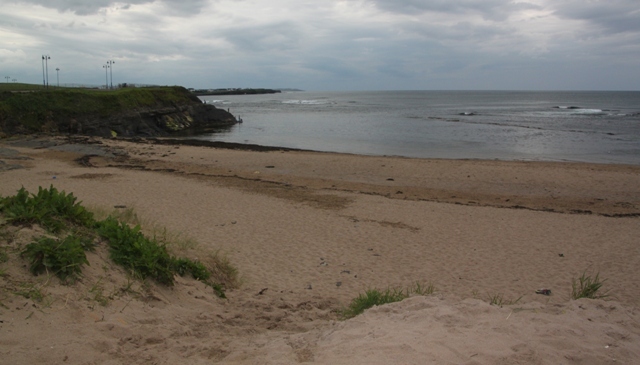 It is such a wild, unspoilt stretch of coast with not many people at all, very special! Yes I guess you are right – with the water coming in directly from the Atlantic there is probably not much warming up at all:) Brrr..
It’s funny. I’ve been to Ireland 4 times and my husband and I agreed, on our most recent trip (when we spent 4 nights in Killybegs and around Donegal!) that we probably were “done” with Ireland and should go other places. 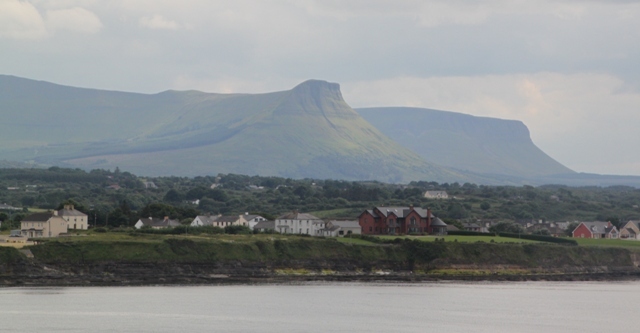 But, reading your post makes me want to start planning another trip to Ireland RIGHT NOW! I know what you mean, it draws you in somehow!! We are lucky and visit Ireland every summer to see family but try and explore a part we’re not so familiar each time – Wicklow this summer! Oh my goodness… sunset at 1030 pm! Sounds like my dream… until I think about putting my toddler to bed. LOL. It’s gorgeous but you’re right, bedtimes can be tricky and involve negotiation in summer!! We have plenty of experience with that!! We are pretty good at it Melissa, years of practise!! The beaches are great, all the better for being deserted! 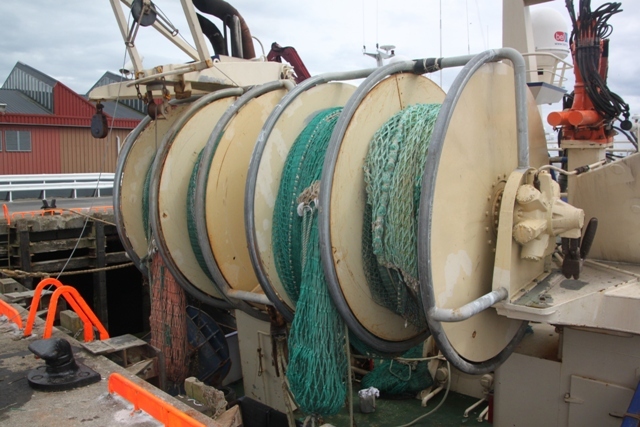 Oh the seafood sounds appealing ! I love coastal villages for that reason 😀 The surfer is courageous, it must be so cold !! 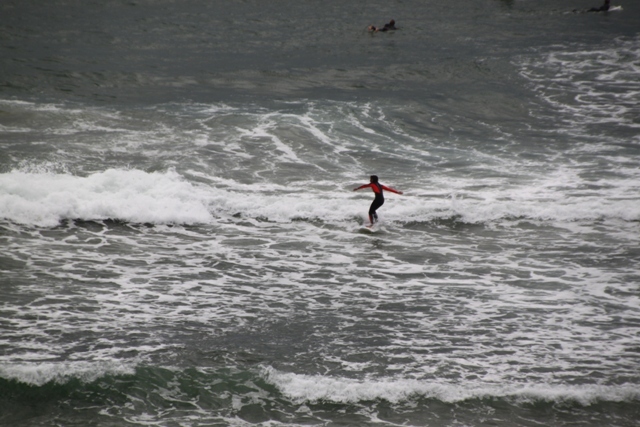 I wouldn’t be brave enough to dip my toe into that water let alone my whole body – a brave surfer indeed!! So I’m not sure which is more beautiful – the mountains or the coastline. Although I like being near the sea! There’s nothing more lovely than a deserted beach! The good thing is that you can easily do both – distances are short and you can be in the mountains in the morning and spend all afternoon on one of those beaches – perfect!! Me too, there’s nothing better than being beside the sea! !